That thing looks like a laptop right out of the 1990's - probably the ugliest, gaudiest looking laptop I've seen in a long time. You have to wonder, though, if thermal performance is going to be a common issue with these Haswell systems. If it's true that system builders were provided CPUs that produced much less heat than the actual production versions, then what do they do? You've designed your system, lined up your supply chain, and then the CPU's are now producing more heat than your design spec allowed for. I can see the "Max Fan" button being a last minute addition as a way around this issue. Even so, my Dell Latitude has a better designed cooling system than this Laptop. 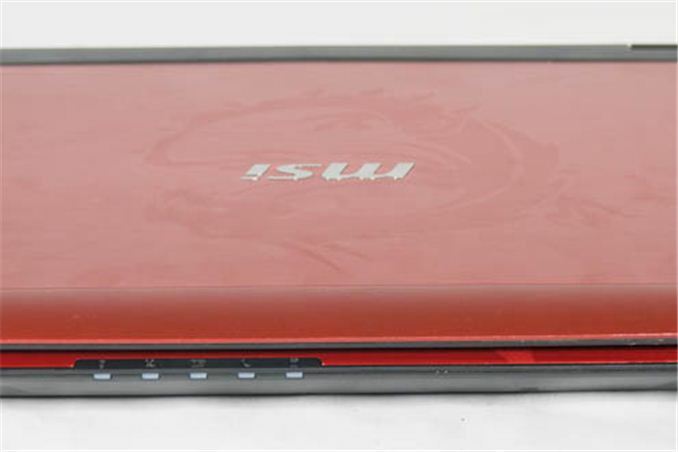 MSI looks like they tried to cut corners based on the Haswell promise and got bit. This review is a bust. I just knew it, from the time it took to make this review. The game benchmarks you did is nothing short but plain BS. Anandtech: GTX 780M 18% slower than GTX 680M. Notebookcheck: GTX 780M 26% faster than GTX 680M. Notebookit: GTX 780M 21% faster than GTX 680M. Anandtech: GTX 780M is 12% slower than GTX 680M. Notebookcheck: GTX 780M is 102% faster than GTX 680M. I won`t even bother going through the benchmarks where the GTX 780M leads, but its most likely very inaccurate as pretty much every game benchmark in your test. I previously used Anandtech as a source for information about mobile products, but seeing that you can`t even review a product properly, this site goes far down my must-read list. I`m actually sick in my stomach that you guys messed up this much with a new flagship GPU. No its not. Go read the GT70 review on Notebookcheck. OK, I came on a bit too strong. The results in the review are bizarre, but they do provide reason to pause: we have no guarantee that the MSI's cooling system can handle a heavy CPU/GPU OC over a long time. The bridge doesn't help much during a load that stresses the CPU and GPU. Notebookcheck reported throttling and up to 90C for the CPU and GPU. The thermal capacity inside the GT70 is more than capable of cooling the 4700MQ and the GTX 780M. Visit Notebookreview forum and read reviews from owners of GT70, or read any other reviews on the internet. Nobody have these high temperatures when gaming. The temperatures in the Notebookcheck review is when they are running Prime95 and Furmark. Not remotely close to any scenario a user will EVER encounter. Why don't you go cash in your MSI company pay cheques you paid shill. 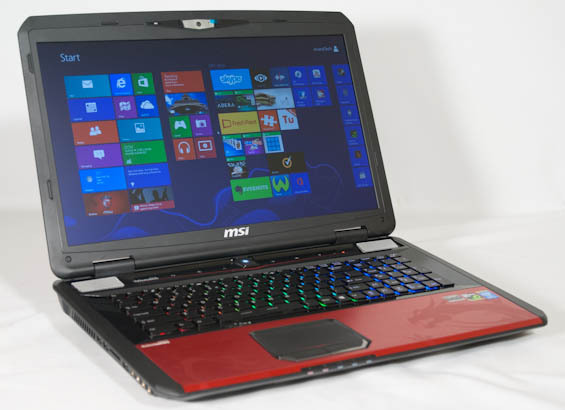 This review is equivocal with my and many other peoples experiences with the new GT70 Haswell notebooks. Why would Anandtech dishonestly smear a product of a major computer tech manufacturer? For the same reason you and your type scour the internet talking a sweet game about every bit of excrement that comes out MSI's back-end?